I want to address some of the issues and and set out the progress of the previous government and this government on Climate Change. I am proud to have voted for the Paris Agreement on Climate Change. The UK has cut emissions by more than 40 per cent since 1990. all while growing the economy by two thirds. 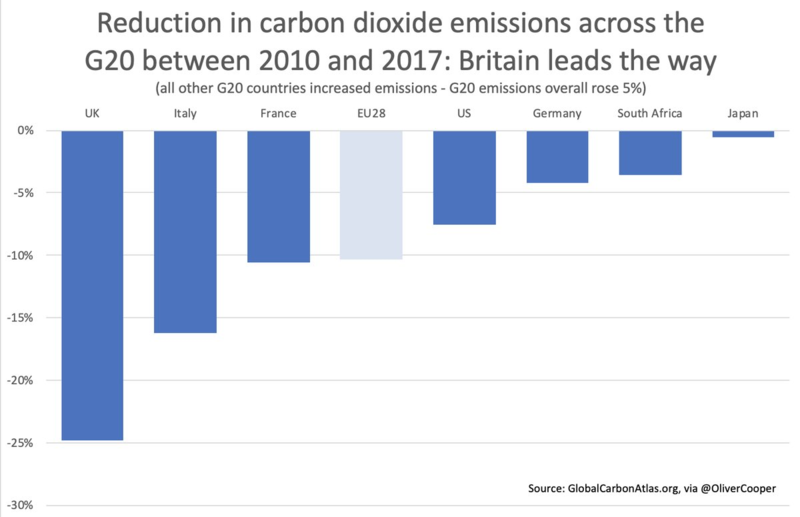 This is by far the best rate of reduction among the G20 countries who managed to reduce their overall emissions. Britain remains firmly on track to meet the target set by the Climate Change Act of 2008, which aims to reduce greenhouse gas emissions by 80% by 2050. While this government remains steadfastly committed to the 80% reduction target, its ultimate goal remains net zero carbon emissions, as outlined in the Paris Agreement. To ensure that the current 80% emissions reduction target is met, the Government has invested more than £52 billion of taxpayer money in renewable energy in the UK since 2010. 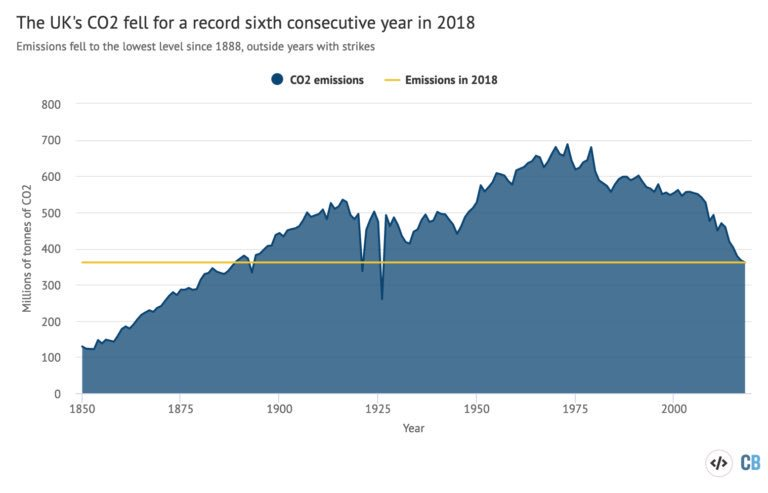 UK-wide CO2 emissions have fallen for six consecutive years, a new record. There is a broad public mandate for addressing climate change and promoting renewable energy sources. The Government has made the historic commitment to close all coal-fired power stations in the UK by 2025. 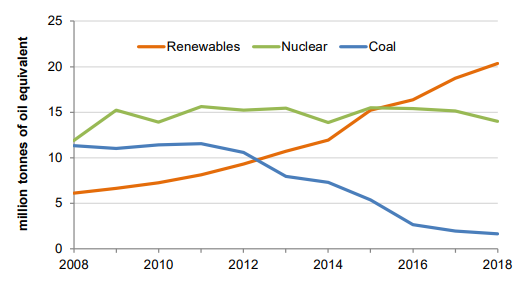 Coal consumption has declined for seven straight years, and the Government intends to see it drop even further. Locally, you will be aware that I led the campaign against the Whittonstall and Halton Lea Gate open cast coal mines. The UK remains the premier destination for renewable energy investment. 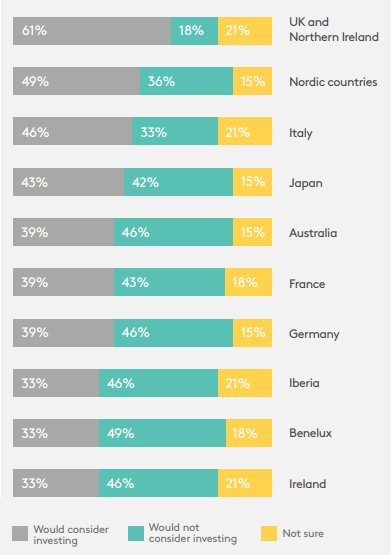 As shown in the graph below, more than 61% of investors would consider investing in the UK, higher than any other G20 country. Key to the Government’s own investments in the renewable sector is the deal coordinated with the wind turbine industry. In 2017, only 6.2% of the UK’s power needs were generated by wind power. This new agreement aims to source 30% of all UK energy from offshore wind by 2030. The Government has pledged a £250 million industry investment, with a new requirement for 60% of all components being sourced from within the UK. Almost 20,000 construction jobs will be created in the Northeast as part of this initiative. Chancellor of the Exchequer Philip Hammond’s 2019 Spring Statement has once more demonstrated the Government’s commitment to environmental action. Included in the Spring Statement are measures that create new emissions and fuel regulations for new-built homes, require airlines to offer carbon offsetting options for passengers, and introduce new energy efficiency schemes for small businesses. Most important of all is the Government’s new biodiversity requirement plan for the UK and its overseas territories. Under the plan, developers will have to demonstrate that their construction plans would enhance the UK’s biodiversity and protect natural habitats. If a net gain in biodiversity is not achievable on site, developers would have to directly fund conservation efforts elsewhere, such as tree planting or wildlife protection. 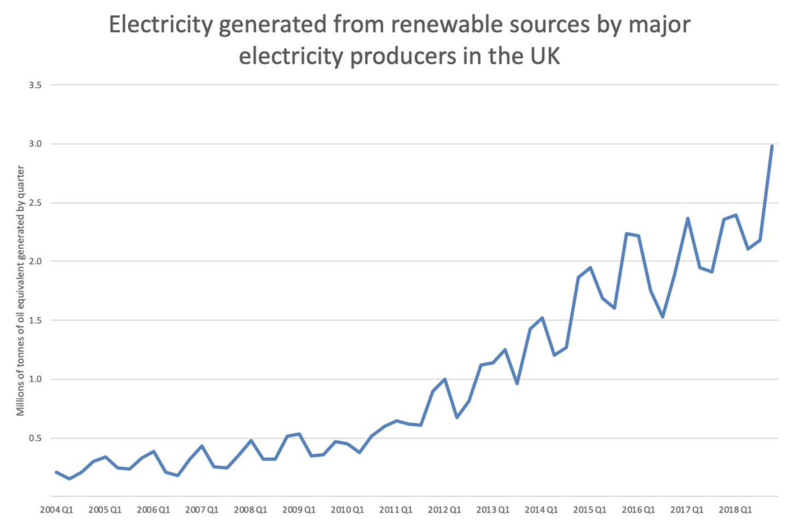 I am also pleased to see that overall renewable energy use in the UK has gone up year on year since 2010, with this past year seeing the biggest increase in usage on record. The Chancellor has indicated that the enthusiasm of the young people striking has not gone unnoticed. These measures outlined in the Spring Statement should remind them that the government takes their concerns seriously, and is doing far more on this issue than any government before or since.